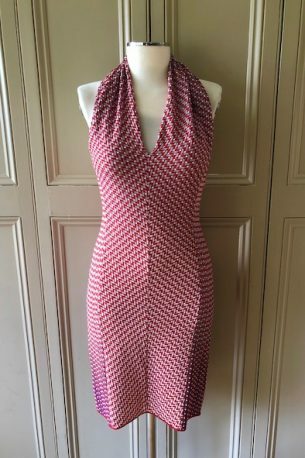 Missoni – stunning red, white & blue knitted halterneck dress – size 42 IT / 10 UK – worn once – £245! Please contact me at julianna@juliannaheale.com if you are interested in the dress and would like more information or detailed photos. As ever, Julianna Copyright 2019, juliannaheale. All images and content are copyright of juliannaheale and cannot be used without prior permission please. 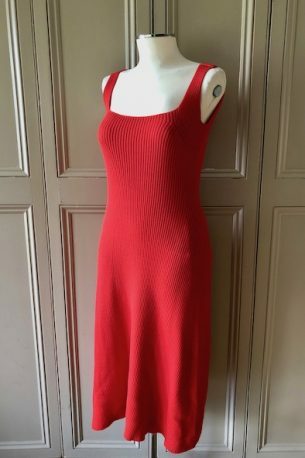 Mara Hoffman – red cotton ribbed “Vita” dress – size medium – worn once – £145! 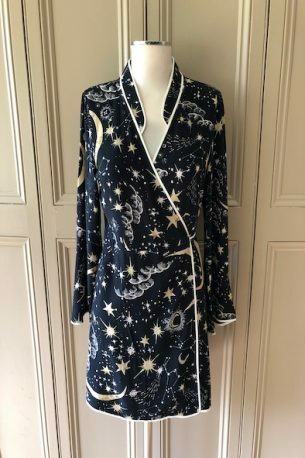 (Was £320!) Please contact me at julianna@juliannaheale.com if you are interested in the dress and would like more information or detailed photos. As ever, Julianna Copyright 2019, juliannaheale. All images and content are copyright of juliannaheale and cannot be used without prior permission please. 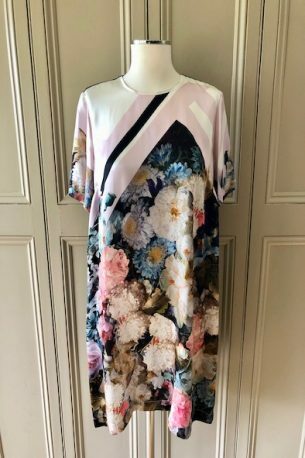 SOLD – Preen by Thornton Bregazzi – silk patterned dress – size medium – worn once – £95! Please contact me at julianna@juliannaheale.com if you are interested in the dress and would like more information or detailed photos. As ever, Julianna Copyright 2019, juliannaheale. All images and content are copyright of juliannaheale and cannot be used without prior permission please. 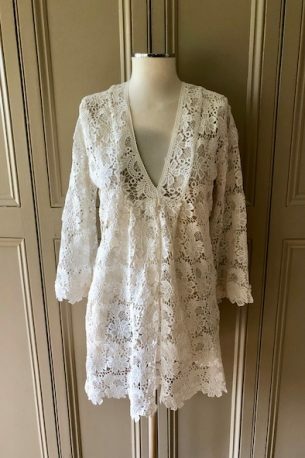 SOLD – Melissa Odabash – pretty white lace beach cover-up – size large – new without tags – £85! Please contact me at julianna@juliannaheale.com if you are interested in the cover-up and would like more information or detailed photos. As ever, Julianna Copyright 2019, juliannaheale. All images and content are copyright of juliannaheale and cannot be used without prior permission please. 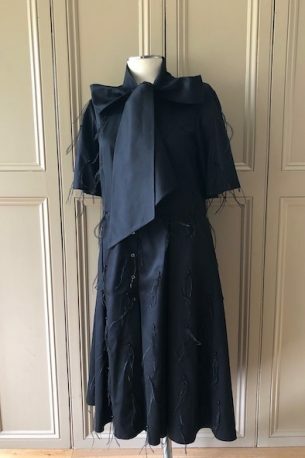 SOLD – Osman – beautiful black cotton / silk shirt dress featuring feathers & detachable neck tie – new with tags – Size 10 UK – £95! Please contact me at julianna@juliannaheale.com if you are interested in the dress and would like more information or detailed photos. As ever, Julianna Copyright 2019, juliannaheale. All images and content are copyright of juliannaheale and cannot be used without prior permission please. SOLD – Rixo – Iris printed wrap dress – new with tags – size M – £135! Please contact me at julianna@juliannaheale.com if you are interested in the dress and would like more information or detailed photos. As ever, Julianna Copyright 2019, juliannaheale. All images and content are copyright of juliannaheale and cannot be used without prior permission please.